Buckingham Palace announced today that the world will learn of the Spare Heir’s (#royalbaby) birth, gender and name via Twitter. Let me repeat that. A centuries-old monarchy will use one of the most current forms of communication to announce a very important bit of news, What is interesting is that the Queen, an 89-year-old woman, understands the power and importance of Social Media, while many businesses, who could benefit from the same type of communication, are missing the opportunity to speak to their customers and potential customers in the same way. There are still countless businesses out there that are not using Social Media to market and advertise – or they are using it incorrectly. While the Royal Family is not selling anything, they do understand the need to maintain a Social Media presence. They are encouraging the loyalty of their subjects by engaging with them in a way that resonates with them. Since the monarchy relies on the good will of the people for their very existence, creating a good relationship with the citizens of Great Britain is a key concern. Social Media allows them to connect with the citizens, and more importantly, allows the citizens to feel connected with them. Why is it that business owners can’t wrap their heads around how important It is to have a strong Social Media presence? But here is a detail that should not be lost on anyone: The Queen will not be sitting at her computer or “tweeting” on her smart phone when the Royal Baby 2 (#RB2) is born. The Royal Palace has a professional team, specializing in Social Media, who will be tweeting the announcement. The Royals get it right. They are too busy being royal and managing their monarchy to spend time deciding what and how to use the various Social Media outlets. They understand the value of hiring professionals who know what they are doing and how to “connect” with their subjects. 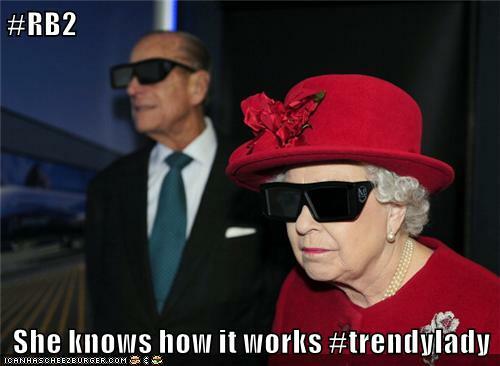 Business owners, it is time to join the 21st century and follow the Queen’s lead. Start a serious Social Media Campaign by hiring a professional. You will please your subjects – and start to generate revenue!